The caps of Freudenberg Sealing Technologies are available in various designs: from the standard solution and designs with a vulcanised reinforcement plate to numerous special shapes. 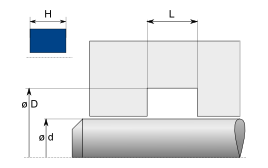 The caps are characterised by their stable structural design. They are used for the safe sealing of round holes in housings.